Monday 17th November saw an evening reception organised by primate charity Wild Futures. The reception was in aid of their campaign to ban the UK pet primate trade. Many parliamentarians and celebrities have pledged their support for the campaign, which aims to raise awareness of the complicated and unhelpful nature of current regulation. The reception was time to follow the recent EFRA select committee inquiry into primates as pets, where primate experts gave evidence in favour of an outright ban. Wild Futures estimates, along with the RSPCA that there are approximately 5,000 primates being kept as pets in the UK and evidence suggests that figure is growing – far more than the Government estimate. Wild Futures runs a sanctuary for ex-pet monkeys and argue that all of those rescued suffer physically and psychologically following their time kept as pets. At the reception, hosted by Andrew Rosindell MP and Sheryll Murray MP, speeches were given by Wild Futures, the RSPCA, Dr Jane Goodall DBE, and Bill Oddie. Primate sculptures were also on display in the IPU Room and Westminster hall, by renowned sculptor Rudy Weller. 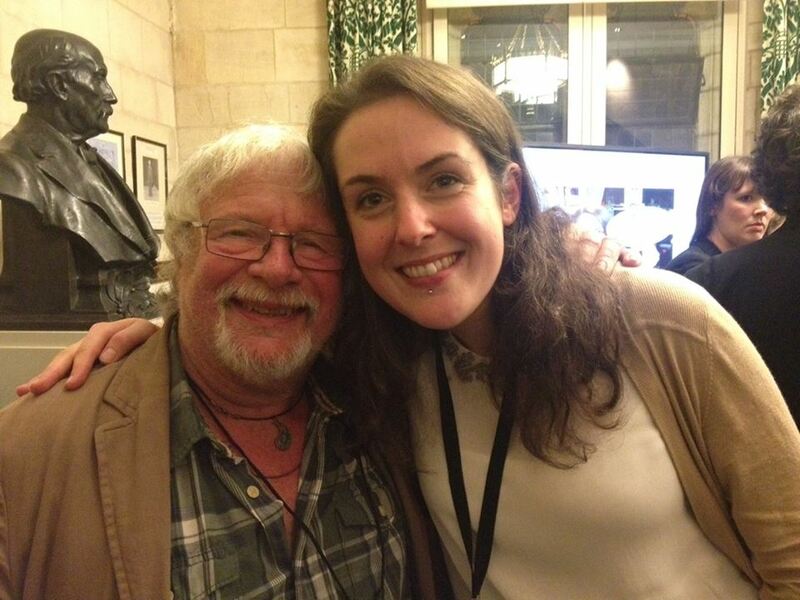 Hannah, the Parliamentary Veterinary Intern, had a good chat with Bill Oddie about the Wild Futures campaign and work to address the issue of the effects of diclofenac on wild vulture populations.